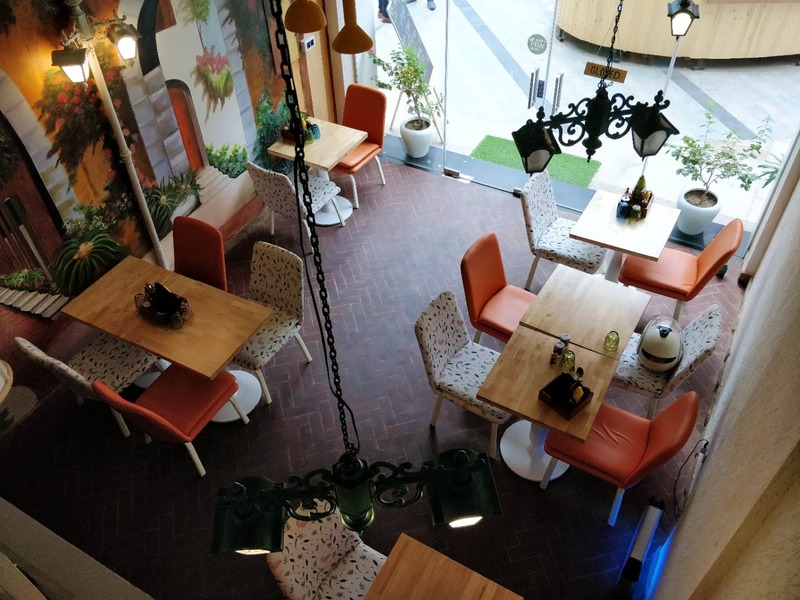 Brick N Bean Cafe in Sector 50, Gurgaon, is a cafe that's all dressed up in a rustic European style and the food served here compliments the decor. It is a perfect place to hang out with friends and family on a lazy weekend brunch. The ambience is very cosy and the seating area is well-done, especially the top section, which is more like a reading lounge. Talking about the food, they are doing a pretty good job at with their elaborate menu and appealing food presentation. I love how they take food presentation seriously, it adds a layer of awesomeness to the already awesome food. Tonic coffee, Ham n Cheese, scrambled eggs, Chicken cake with Red Wine Zue, and pancakes are some of the must-tries. If there could have been an outdoor seating just like in Europe it would have been a perfect experience, especially when the weather's good.